Each Friday through 19 April, we’re unveiling works from our upcoming 20th Century & Contemporary Art Day & Evening Sales in New York. 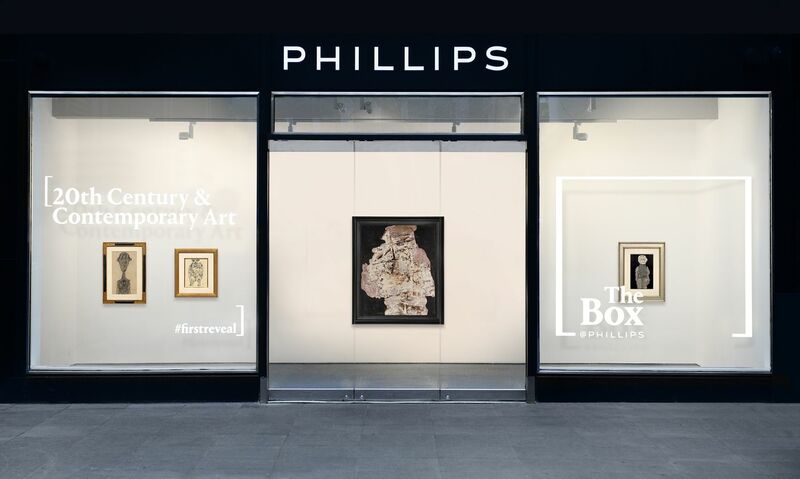 Next up in the Box @ Phillips, we're highlighting four mid-century masterworks by Jean Dubuffet. 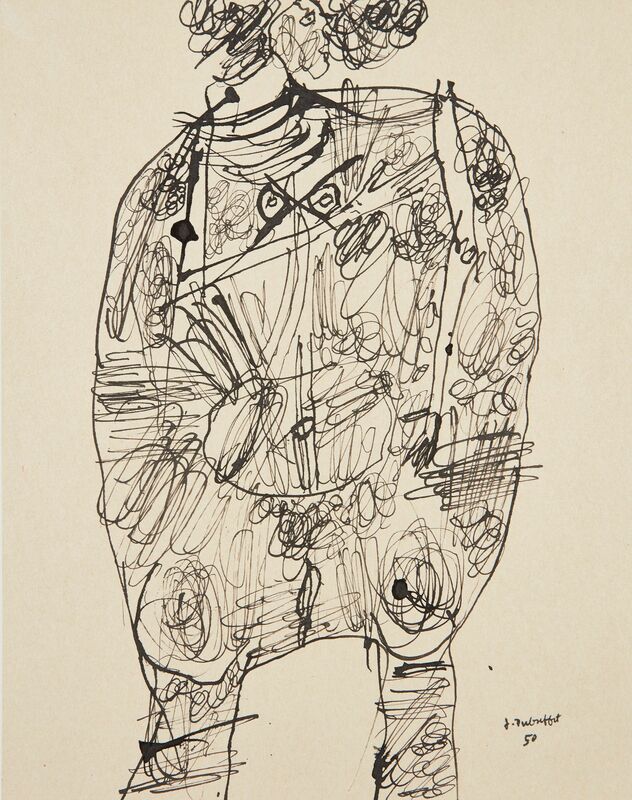 Spanning two seminal decades of his career, Johandeau innocent, Corps de dame, Cibulot pistolet, and Barbe des bourreaux de Paris showcase Jean Dubuffet’s unfettered creativity. Rejecting all forms of aesthetic convention, Dubuffet always charted his own path, seeking inspiration from the margins of society in what he termed “art brut” – art by untrained artists, children, the mentally ill and other outsiders. These vital works belong to some of the artist’s most esteemed series of the 1940s and 1950s, including Portraits, Corps de dame, Personnages monoliths and Barbes. From the collection of Chicago developer William Harris Smith, this selection of works represents watershed moments from Dubuffet’s approaches to the human form. 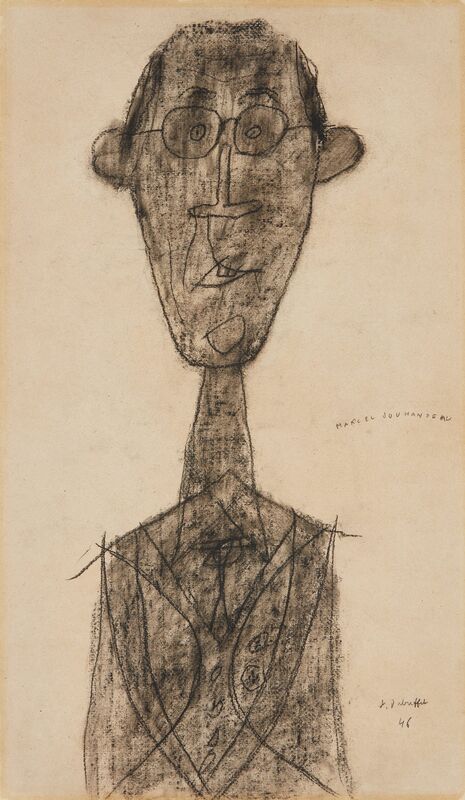 Jouhandeau innocent, 1946, is a densely-developed representation of the celebrated author Marcel Jouhandeau from his breakthrough Portraits serieswhich was first owned by writer and editor Jean Paulham, one of Dubuffet’s key friends and supporters. Rather than flattering his subject, the artist emphasized a few key features in this charcoal, including the subject’s tall, thin frame, glasses, plug ears and the harelip commonly recorded in photographs of the era. 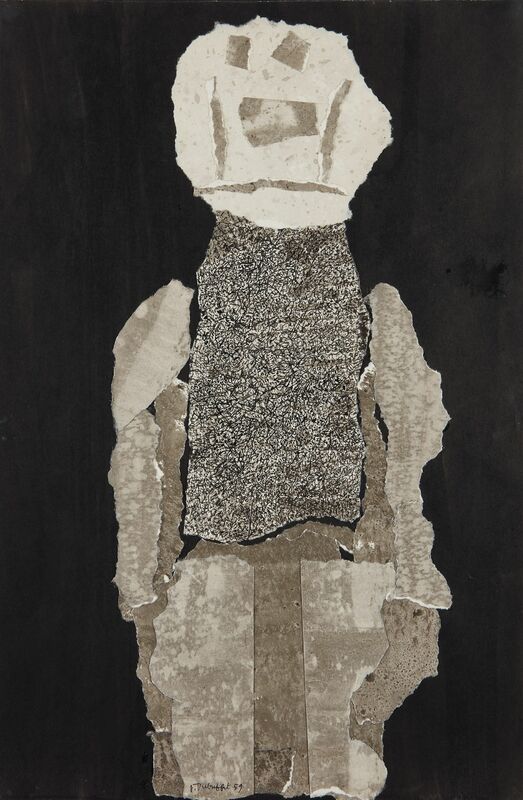 In Corps de dame, from 1950, Dubuffet further flattened bodily features, embraced the tactility of his materials, and avoided conventional beauty at all costs. Similar in approach to the Woman paintings created by Willem de Kooning in the same era, this work is also evocative of the paleolithic Venus of Willendorf. Dating from September 1955, Ciboulot pistolet is an early painting from Dubuffet’s seminal Personnages monoliths series, in which the artist developed new techniques for manipulating the painterly surface. He spread sheets of newspaper onto fresh paint and then removed the paper to create unpredictable textures and colors. Subsequently contouring the figure in black with tremulous lines, Dubuffet created a sense of liveliness through the dynamic flow of paint. Barbe des bourreaux de Paris was executed in May 1959 and is therefore one of the earliest works in the artist’s series of Barbes, or “beards”. Marking his return to the human figure after several years spent on focusing on abstract or near-abstract depictions of textures and soils in his Texturologies, he created the present collage from fragments cut from this earlier series. With this totemic figure’s unarticulated facial features, Dubuffet placed emphasis on the textures of what he called a “vast, cosmic, mystic” beard. 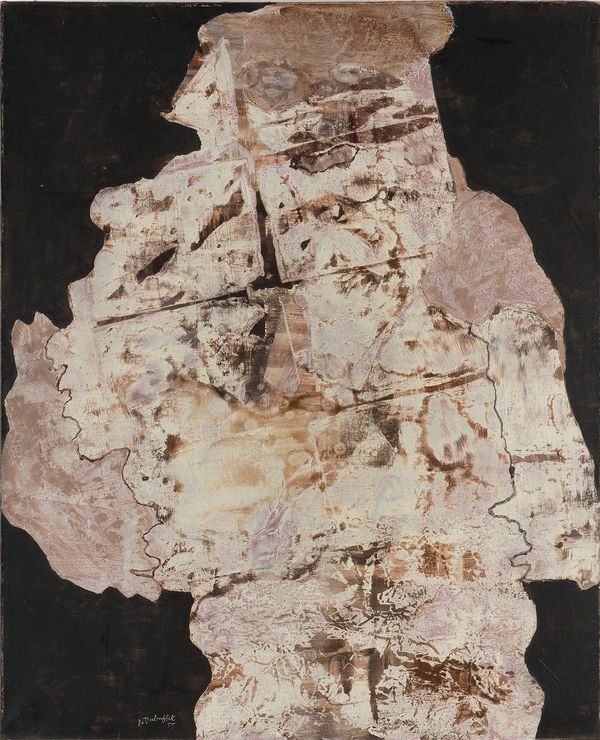 Created in a diverse range of techniques, these striking works represent the continuity of Dubuffet’s constantly evolving practice. Together, they reveal him to be an artist of profound originality.